Does EVERYONE really need a leadership job? In short, yes. I know that most of us already have a set of classroom jobs in place. There might be ten or twelve kids doing those jobs. But what about the other kids? Do they feel like a part of our (your) classroom community? 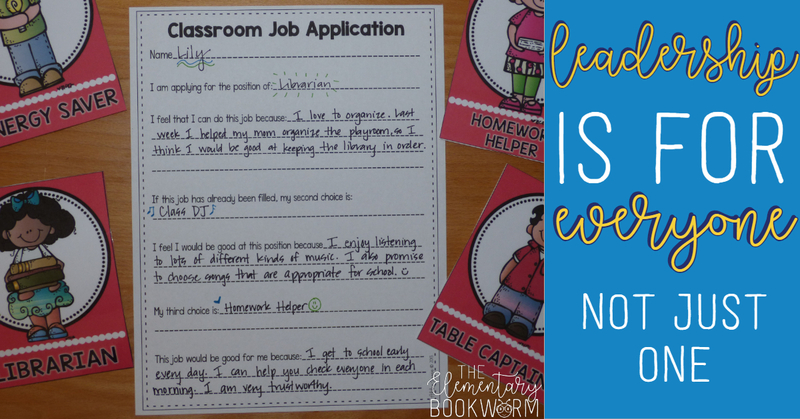 The first time I wrote about using leadership jobs in my classroom, I was part of a Leader in Me Lighthouse School. 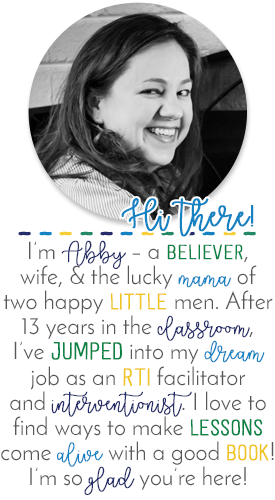 That training created a major paradigm shift in my teaching practices. I no longer teach in a LIM school (sniffle), but so much of what I learned has carried over to my next adventure. Today I'm sharing a few of those carryovers with you. 1. EVERY child has gifts, and EVERY child has leadership potential. Some kids are great at organizing. They will make great librarians. Other students love to oversee the handling of daily materials or the technology in the room. These could be your technology engineers and materials managers. There are also kids who want to stay in the background, but they also want to feel like they are a part of something bigger. I love these students. They do the things I find the hardest to keep up with - checking homework, sorting graded papers, sharpening pencils. Ensuring that each child had a classroom responsibility was just another way for me to nurture their gifts for the 180 days I got to spend with them. 2. 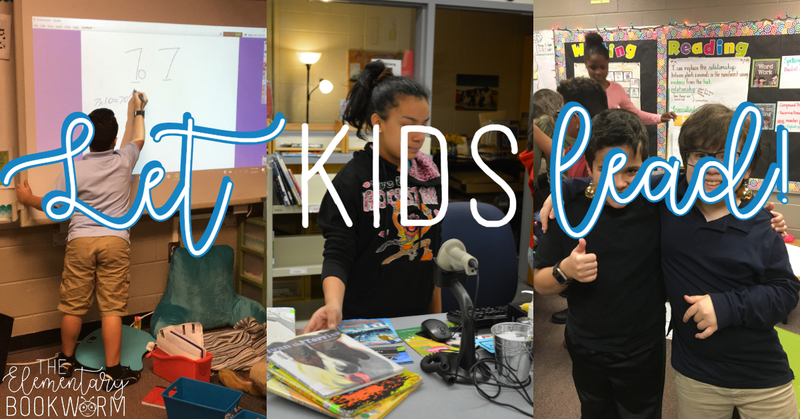 WE know kids can do more than we give them credit for. Let them! Forget to take the attendance? Let the kids do it. Do you struggle to find time to sort student papers after they're graded? Let the kids do it!! Those are all REAL jobs in my classroom that happen every day. I am terrible at remembering to submit my attendance online. So, I created the job of Attendance Clerk, instructed them to bring me my laptop each morning so I could sign in for them, and let them take attendance. The secretary quit buzzing my room during math every day and my student felt important. 3. 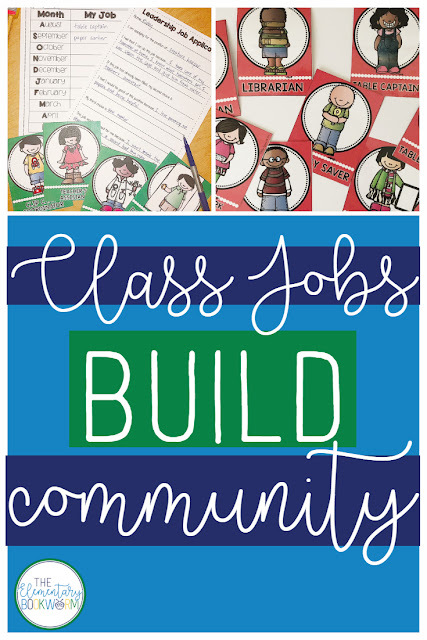 Classroom jobs build classroom community. Everyone involved in a dramatic production or musical theater show is a part of something bigger. The same thing can be said for the football team, the marching band, and the yearbook committee. This is the same philosophy. It builds buy-in! I want my kids to know I value their talents, their time, and their input. After the first month or two of school, we sit down in morning meeting and talk about how classroom jobs are going. We discuss which leadership roles are working well, which jobs need to be eliminated, and if there are any we might need to add. These are fluid and flexible roles. Not everyone falls in love with the first job they have, right? Our students should be given the opportunity to try out different leadership roles as well. · How often do you change jobs? We change once a month. The first month, we fill out applications during the first week of school. I go over my expectations for what their applications should look like and sound like. They give me their top three choices and I am almost always able to give everyone one of their top three. After the first month, the application goes home for an overnight assignment. It comes back the next day and I begin handing out jobs! · What if you can’t give a child one of their choices? The larger your class is, the harder this will be. So to be fair, I make sure to let the kids who didn’t get one of their choices know that they will get top priority during the next month. The following month, I have them put a star on their paper so I know to look at those first. · How do you make this work when you departmentalize? Remember how I had the most amazing work wife? I did. We sat down once a month with the completed applications and handed out jobs together. The jobs were the same in each of our classes. We typed up a list for each homeroom and printed out a copy for each other. It was really nice to have someone to bounce job assignments around with. · Do you let students have the same job more than once? 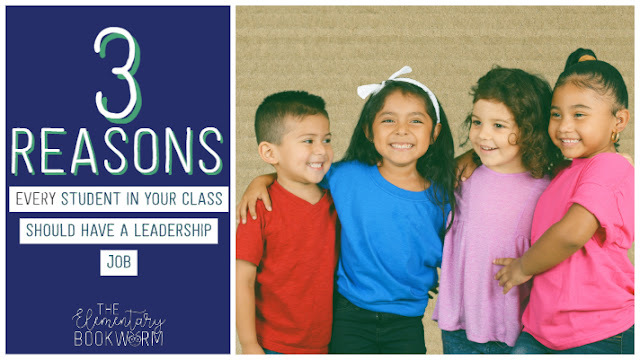 If you’re interested in trying out classroom leadership jobs with your kids, I’d love for you to check out the sets I have in my store! 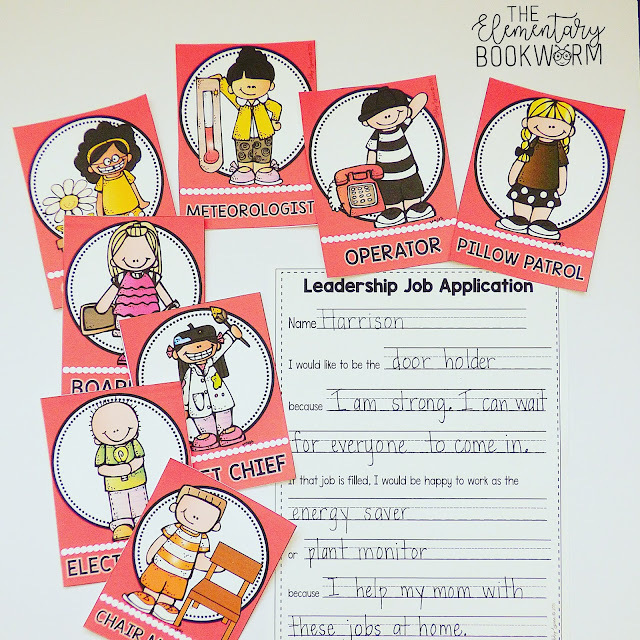 There are also TWO editable pages for you to add any jobs unique to your classroom. I’ve also included a primary and intermediate application, and a job tracking sheet for your data notebooks. Make sure you save this post on Pinterest and follow my 7 Habits/Leadership board to find more great ideas!